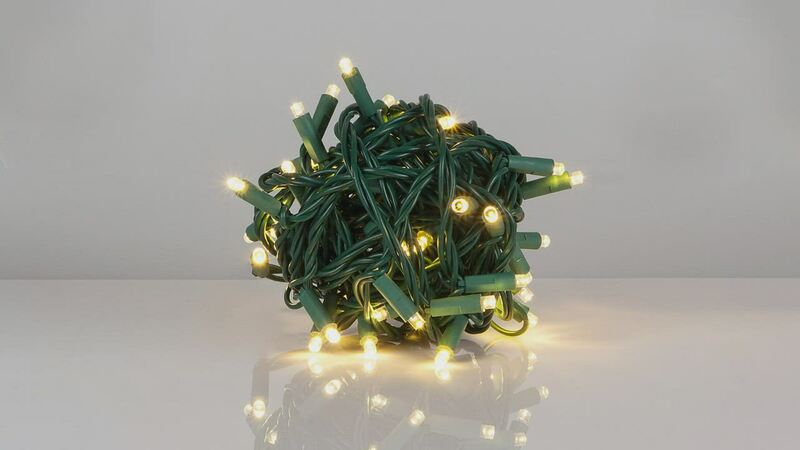 50 Multicolor 5mm LED lights spaced 6" apart on green wire, 25.2' total length. Love all the lights I have gotten from here!! !